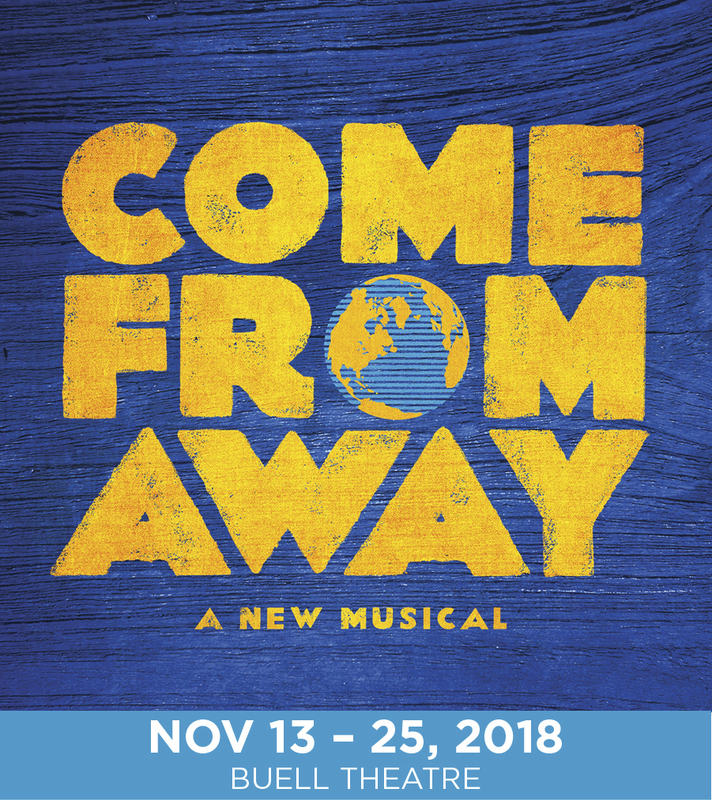 There are not enough good things that can be said about Come From Away now playing at the Buell Theatre. The performance was filled with emotion, energy, and more heart than one could imagine. It leaves you wanting to know more about the events that happened in Gander, Newfoundland during the attacks on the World Trade Center on September 11, 2011. It was hard to get into the show right away. The first number, “Welcome to the Rock”, dives right into Newfoundland accents. If you have never heard one before, which I had not, it feels like a mix of Canadian and Irish. The movement in the first piece wasn’t anything to shout about, but after seeing the rest of the show it ties in well. The next number is titled “38 Planes” and it describes how the small town of Gander will be accepting planes diverted from all over the world, with enough people to almost double the population of this small Canadian town. The piece genuinely sets the tone for the rest of the show, proving the gravity of the situation at hand. The music throughout the entire performance was fantastic. The harmonies were moving to tears, especially during “Darkness and Trees”. The part of Beverly was played by Becky Gulsvig and her musical performances were absolutely radiant. Gulsvig’s voice was strong and clear, hitting every note perfectly during her solo in “Me and the Sky”. Andrew Samonsky (Kevin T.) and Danielle K. Thomas (Hannah) had a moving duet during “Prayer” that could rightly be described as angelic. “Screech In” was a boisterous number that included the whole cast as well as the musicians. It was fun to see the musicians come on stage to dance and play in this lively pub scene. The choreography was rambunctious, including a ceremonial fish! In a technical aspect, this show was practically flawless. The lighting complimented the tree filled set smoothly, while chairs were cleverly used to set many of the scenes throughout the play. I was fortunate enough to get a backstage tour after the show, courtesy of Assistant Electrician Jamie Bell, and I got to take a closer look at the set and automation table used on stage. You can really tell how much time and detail was put into this seemingly simple set. I think the most wonderful thing about this show is the conversations that it sparked. Talking to other theatre goers about the performance brought on conversations about where we were and what we were doing when September 11th happened. Upon speaking with Ms. Bell she mentioned how the real life people that the characters are modeled after come to see the show frequently, providing insight for the actors. Most importantly, this show is a step towards healing. 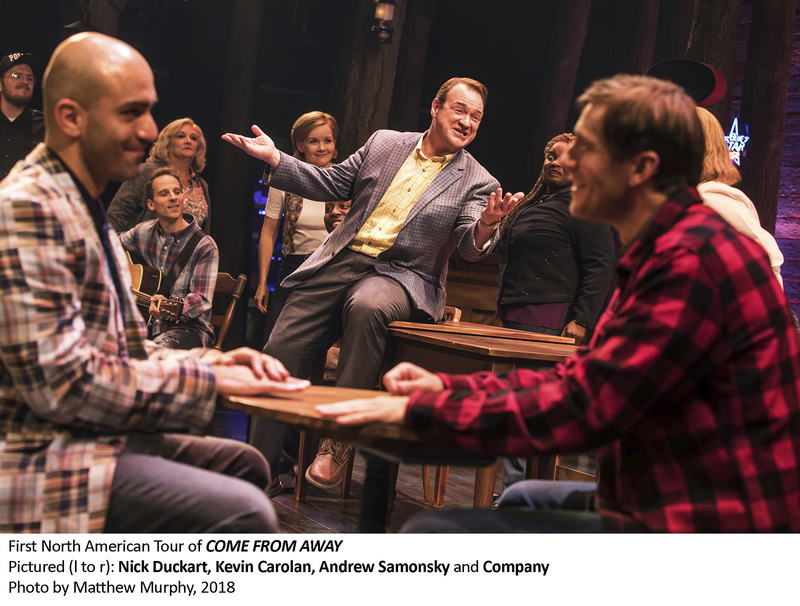 Come From Away creates a safe space for dialogue, to share the many stories that happened throughout this tragedy. 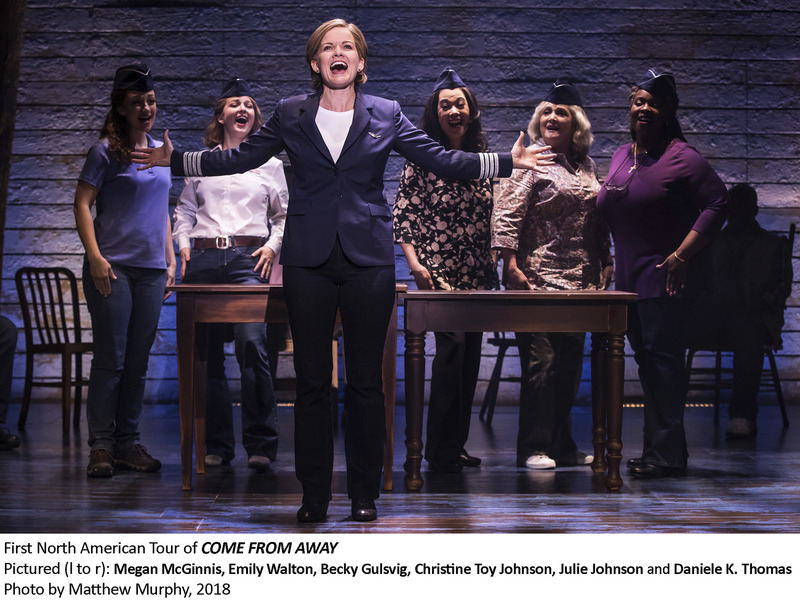 Come From Away is a must see. If this story doesn’t move you to tears, the performance put on by this talented cast will. 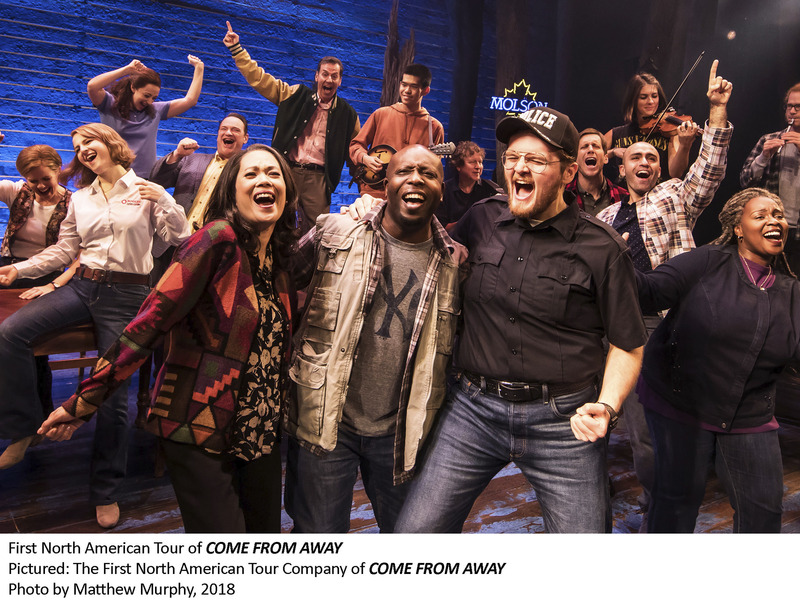 COME FROM AWAY is moving audiences now until November 25th at the Buell Theatre in the Denver Center Complex. For tickets or more information, contact the Denver Center Box Office by calling 303-893-4100 or online at www.denvercenter.org.